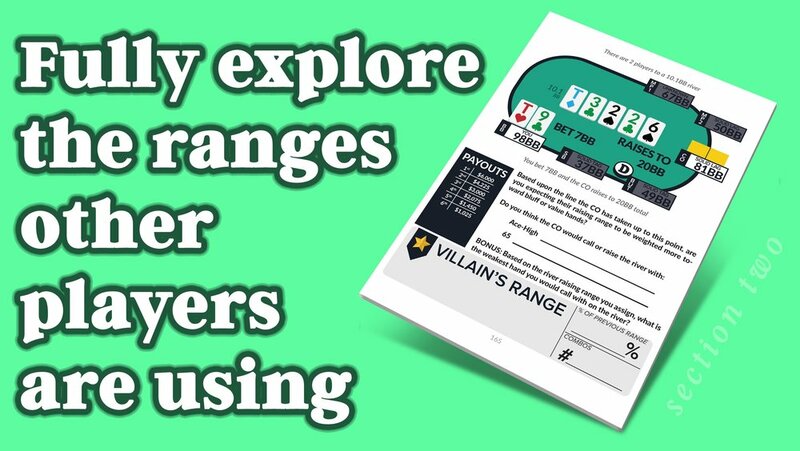 This workbook was hand-crafted to help MTT players study the game between sessions. Complete with 40 exercises from a wide array of tournament buy-ins, and structures - this workbook guides you through tournament-specific situations. Work on your hand reading skills, technical prowess, and even run through ICM simulations to prepare yourself for more first-place finishes. You worked so hard to get to the final table in the first place - now make it count by using this workbook to prepare yourself between tournaments. The workbook comes with 40 unique exercises to help you study your own ranges, hand read your opponents, and explore range-vs-range situations. Each exercise has guiding questions to help you along and ensure you don't miss any important considerations. Many exercises have bonus questions and follow-ups to help you expand your knowledge and get more out of the exploration. You also receive a $50 discount on Splitsuit's The Hand Reading Lab (especially useful if you get through the first half of the workbook and are utterly confused).